Now this is news I am sure some of you will be excited about. 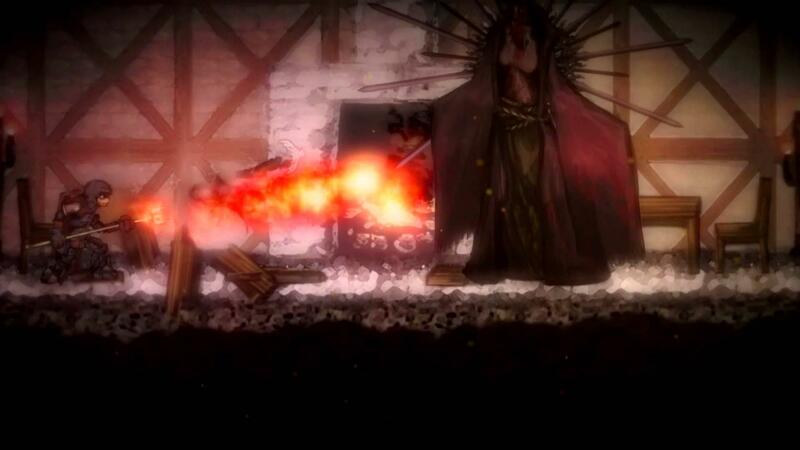 Salt and Sanctuary a haunting, stylized 2D action RPG is being ported by Ethan Lee and it's now in Beta. You will need to enter a password to get into the beta, but it's available to all. See Ethan's post announcing it here. You can report issues to this forum. The reviews are really positive and the style of it is really quite fantastic, might have to fork out for it myself. I'd would love to play the dishwasher on either linux or vita. Added this to wishlist. This looked like descent 2D Dark Souls-que game. Nice to see it coming to Linux. I do have a bug (which I reported!) where setting the game in borderless or windowed makes a small window that's cropped. However, Flibit doesn't seem to have this issue, so it could be something specific to my set up? I have total confidence in Mr. Lee's porting skills, and this seems like something I might enjoy. Won't buy a beta but I'll keep a close eye on the game. HadBabits I do have a bug (which I reported!) where setting the game in borderless or windowed makes a small window that's cropped. However, Flibit doesn't seem to have this issue, so it could be something specific to my set up? Something to do with your window manager, seeing as the problem is related to windowing? Maybe install and test with one of the light alternatives like xfwm, awesome or one of the *boxes? I will definitely buy this game once it officially hits Linux and becomes available on GOG! tuubi I have total confidence in Mr. Lee's porting skills, and this seems like something I might enjoy. Won't buy a beta but I'll keep a close eye on the game.